Named for the state park where the loop route for this race starts and finishes, Rye’s Wallis Sands Half Marathon takes runners and walkers — the event is open to both — on a loop tour along the oceanfront highways and the scenic country roads of this small town along the New Hampshire coast. The town’s history dates all the way back to 1623, when it was first founded as a town called Pannaway by settlers who landed in the area now known as Odiorne Point State Park. Both this park and Wallis Sands State Park make up part of New Hampshire’s 18-mile coastline here along the Atlantic Ocean, and are known for the serene beauty of their wide sandy beaches, quaint New England homes, and the coastal roadways that overlook the waves crashing onto the rocks just below. Home to just over 5,000 hardy New England souls — including famed novelist Dan Brown, the author of The Da Vinci Code, and New Hampshire Senator Judd Gregg — the town welcomes the 7th annual running of the Wallis Sands Half Marathon in the spring of 2019, after just over 930 runners and walkers crossed the finish line in 2014. The course will feature both the dramatic scenery of the Rye coastline — from the starting line in Wallis Sands Park, the course will take runners first out along Ocean Boulevard, also known as New Hampshire 1A — as runners make their way north along the highway and then make the turn left, following the highway along the inland side of Odiorne Point State Park. As they’re running along the edges of the Odiorne Point, runners also pass by the park’s Seacoast Science Center along the way — the center’s worth a visit if you’re staying the weekend and looking for ways to entertain yourself and take in some of the local sights, as visitors can encounter several different natural habitats here, from inland forests to the salt marshes, rocky shoreline and both freshwater and salt ponds throughout the park. The next stretch of the race brings runners more inland, as the course heads southward along Brackett Road, Wallis Road and Central Road, bringing the course to its peak elevation point at about the mid-way point of the race. It’s not a major change in elevation, however, as the course rises from a low of near sea level at the starting line to just over 85 feet above sea level once runners have just passed the mile 6 marker along Wallis Road. Runners next make their way down Central all the way to the left turn onto Perkins Road, where they head east toward the ocean and turn again onto Ocean Boulevard. It’s just for a quick stretch, however, as the route then turns right onto Old Beach Road and Locke Road before returning to Ocean Boulevard for the final 3 miles of the race, which bring the field past Rye Harbor State Park and Massacre Marsh on the way back northward toward Wallis Sands Park, where the race finish line lies. 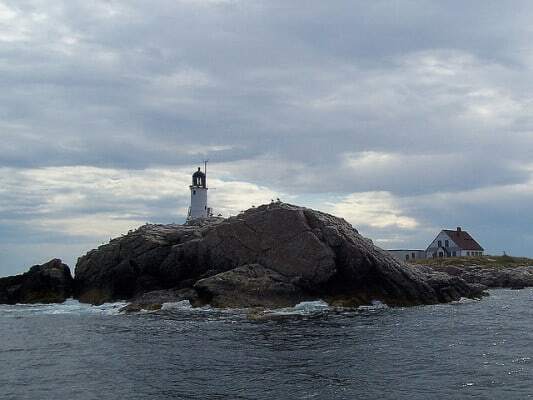 Located along the southeastern New Hampshire coastline, just a short 5 miles from Portsmouth to the north and roughly 40 miles east of Manchester, Rye typically sees mild to moderately warm temperatures in the mid-spring season. Records here in May have risen as high as 94°F (in 1957) and fallen to as low as 15°F (in 1985). On race day (May 19), the average low is 41°F and the average high is 65°F. See the race route map for the Wallis Sands Half Marathon here. To reserve your spot in the 2019 running of Rye’s Wallis Sands Half Marathon, visit the event website below. Ever run in the Wallis Sands Half Marathon? Share your impressions here, or post your review in the Comments below.